Designed to be attached to a barn wall. Contains a large middle compartment for feed and two outer compartments for oyster shell and grit. Slant of feeder makes it difficult for birds to roost on. 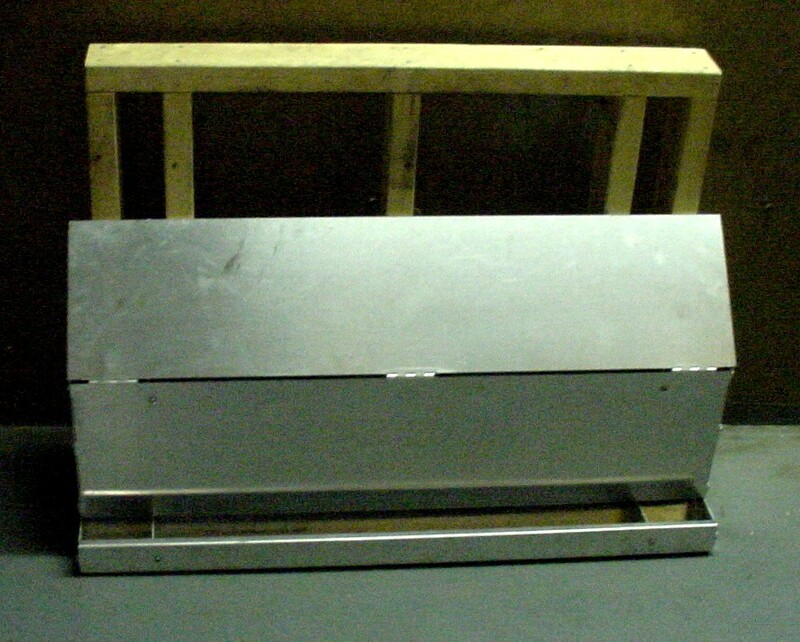 Measures 17 1/2" x 9 1/2" x 36 " and will hold more than 45 lbs of feed.